I just love business names. And I seem to come across new ones every day at work. Almost all the start-ups I meet want to have the perfect one to describe their business activity. But this is often impossible due to the UKIPO’s rules, and even when allowed can be a mistake. 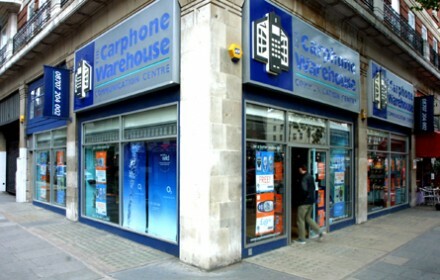 For instance Carphone Warehouse chose a name that accurately described their business when it started in 1989. They were on the cutting edge of the new mobile-phone technology, and sold those marvels of miniaturisation known as car phones, through their first store located in – you guessed it – a warehouse. It wasn’t long before the company expanded into the high-street, and their products shrank to the pocket-sized phones of today. So their wonderfully accurate name became doubly redundant. But by then they were a household name and were stuck with it. 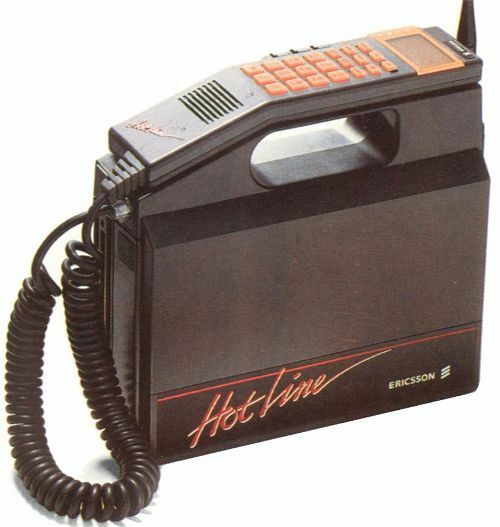 They did however learn from this mistake and use the brand PhoneHouse in the rest of Europe. So that was an example of a good name which went bad thanks to the market moving. But some brands who started out with really bad names still managed to have great success. I covered Smeg in my blog post How to name your brand and get it trademarked. So I won’t dwell on the uncomfortable associations for that word again. But they certainly haven’t held their business back. 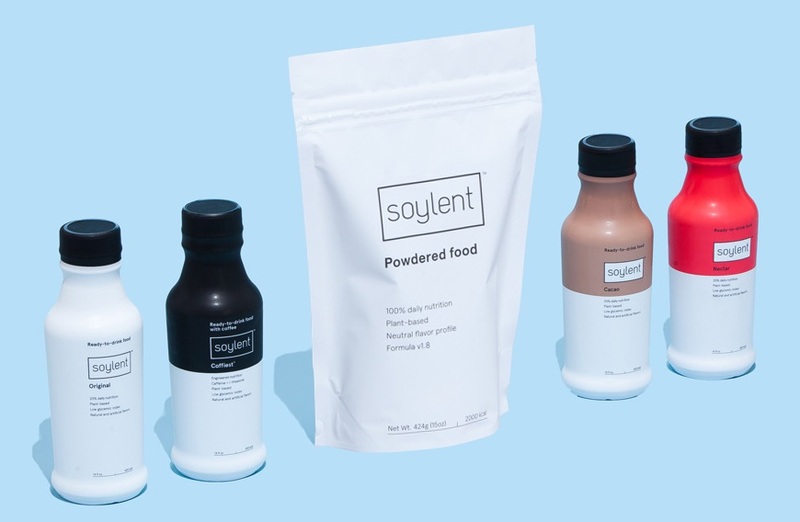 Or how about Soylent, the company that claims to have created the future of food? Here again, what on paper would appear to be a truly awful name, has not stopped the company from becoming very successful. Closer to home we have the very popular fashion brands Fat-Face and Sweaty Betty. More proof that a horrible name is no barrier to success. Possibly the worst idea of all is to be nameless, but search Google for Nameless and you will find plenty of brands. Such as a ‘tech’ fashion brand in Moscow, and a digital marketing company in Bristol. 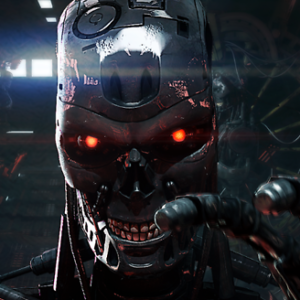 Returning to the world of science fiction we have SkyNet. An express courier network founded in 1972 that has grown to be the world’s largest. They can deliver “from a postcard to grand piano, to or from almost every country on the planet”. Let’s get back to some great names. 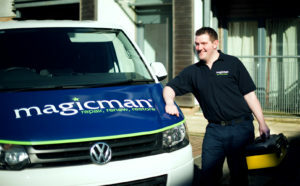 On my cycle to work I have recently spotted vans sporting the memorable Magicman registered trade mark. Who wouldn’t want to employ the services of a “technician trained to deliver incredible repairs to wood, stone, marble,uPVC, veneers, laminates, granite, ceramic tiles, stainless steel and even glass. We rectify chips, dents, scratches, burns, holes and so much more on site, nationwide”? I think we should end with a couple of brands that follow the Ronseal approach to naming. In other words, they do what they say on the tin. First we have Sticks Like Sh*t. For those in the building trade the name effectively, if rather bluntly, explains what the product does. Although I was intrigued to discover that on the manufacturers website the name has been bowlerised to Sticks Like Adhesive. Perhaps they don’t want to upset the more sensitive home DIY brigade? The owners Bostik have registered the name with the UK IPO, so don’t think about copying it! Finally we have my favourite brand name of all time. Strong, simple and memorable, with a clear indication of its purpose. I first came across Doom on safari in Kenya in 1982. I still remember clearly the moment a can was produced and liberally sprayed onto a very large and scary insect which happened to be walking across the entrance hall of our lodge. It didn’t take long for the creature to cease to be a threat. 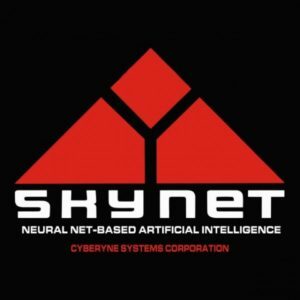 Sadly the brand is now more closely associated with the computer game of the same name. Although I was glad to find a less dramatically packaged version still for sale in South Africa. This entry was posted in Advertising, business information, business startups, Trademarks and tagged branding, marketing, promotion, trade marks on 18 May 2017 by ninfield. We would love to hear from you about the difference the British Library Business & IP Centre has made to you and your business. Your participation is crucial in helping us secure future funding and ensure that we continue to meet your needs. 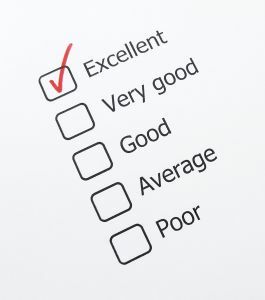 I would be grateful if you would spend five minutes to complete this survey. The information you supply will be kept strictly confidential and will only be used for this purpose. As an incentive, your name will be entered into a price draw and you could be one of three people to win £50 worth of John Lewis vouchers. The survey will be closing on 19 March 2013. This entry was posted in British Library, business information, business plans, business startups, entrepreneurship, Success Stories on 8 March 2013 by ninfield. My beloved Eat St. is no more. But this is a good news story as it has been replaced by KERB, and all the great pop up shops are still there at lunch-time, sandwiched between Kings Cross Station and the University of the Arts. 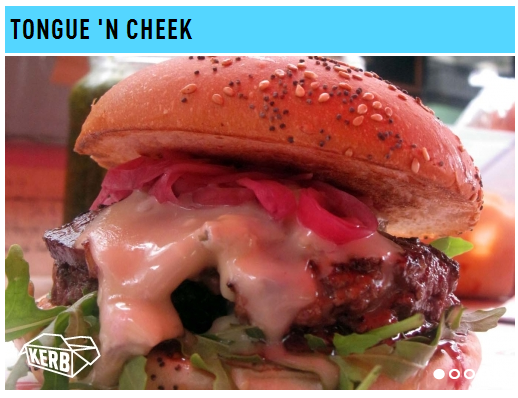 Since I last reported on this lunchtime wonder (The Apprentice hits the mark with gourmet street food) I have tasted the best burger of my life at Tongue ‘N Cheek, and the most incredible sandwich courtesy of Gurmetti. Now that I have wetted your appetite, perhaps I can interest you in the latest book to grace our Small Business Help shelves in the Business & IP Centre. 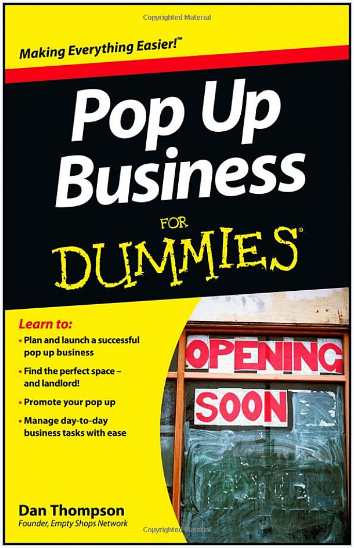 Another in the successful Dummies series, Pop Up Business For Dummies by Dan Thompson has condensed 12 years experience of using empty shops and managing pop up projects to provide an in-depth guide to devising, planning and delivering a pop up shop. Whether you’re just starting out and want to test the viability of your business, or you’re an established business looking to expand your reach, pop-ups offer an exciting and flexible opportunity. They’re a great way to try new business ideas, experiment with a new product, location or market, gain exposure, and learn about your customers – all with limited risk and financial outlay. Planning your pop-up venture – whether it’s a shop, studio, gallery, or community hub. Finding the right space for you. Negotiating with the landlord and sorting out the legalities. Fixing up and fitting out your space on a budget. 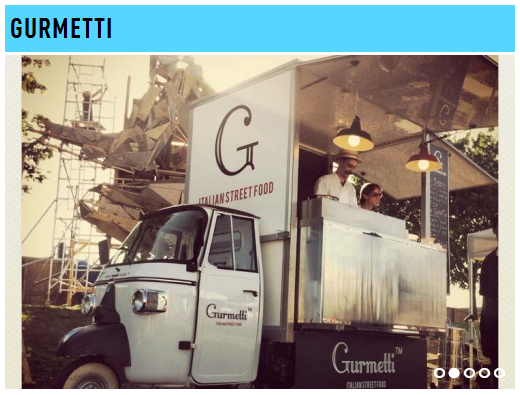 Pulling in the punters – advertising and marketing your pop-up. Managing a successful pop-up business day-to-day. Lots of case studies, checklists, tips and hints from experienced pop-up people! This entry was posted in Books, British Library, business information, business startups, food business, retail, work/life on 1 December 2012 by ninfield. 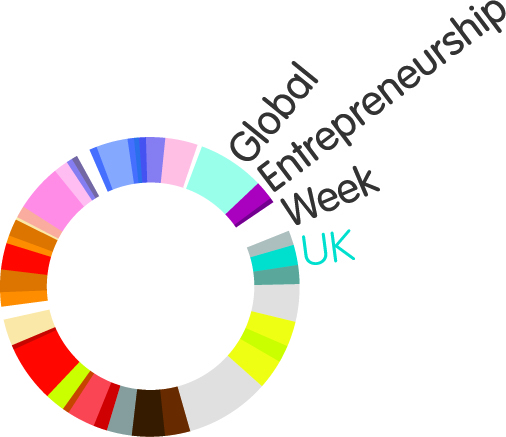 Tonight we hosted another of our Inspiring Entrepreneurs evenings as part of Global Entrepreneurship Week (GEW). This time we had successful entrepreneurs from a diverse range of business sectors, from home wares to plumbing. 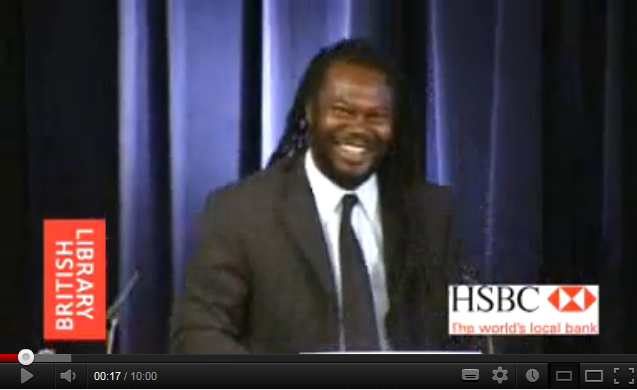 Once again our moderator and all round business expert was Matthew Rock, Real Business Co-founder and Editor. First up was Charlie Mullins who said he wanted to be a plumber from nine years old. And from very early on was out on the road working with plumbers. He doesn’t believe in a magic formula for business success. He didn’t have any set plans when he started out, just hard work and dedication to be successful. The harder you work the luckier you get. His is a family business with children and in-laws employed. Pimlico plumbers is now the largest independent plumbing company in the country, and the most recognised in the country. And they now employs 200 people, but the hardest thing is finding the right staff. 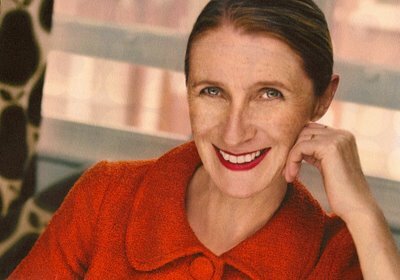 Second was Orla Kiely who knew by the age of twelve that she wanted to work in fashion. She applied to the one good art college in Dublin and there discovered textiles. She left Ireland in the late 1980’s as there wasn’t much going on there at the time. After four years working as a textile designer she went back to college at the Royal College of Arts which she considers essential for creatives. From there she started making a few hats and bags with fax orders from the UK to Monaco. On moving back to London to expand the business with her partner Dermott Rowan she began by freelancing for M&S and creating her designs at weekends. Their first office was their flat which became crammed with boxes. The move to prints was the way they were able to differentiate their brand, and since then they have grown organically. Next was Sam Hargreaves who credits his sister with starting his business when she turned down an iPod he had bought for her as a present. At 16 Instead of spending £5,000 on a car as agreed with his parents, he bought 50 iPods from the USA and doubled his money overnight, but was grounded by his mum. His Gadgets 4 Everyone now has eleven staff and a million pound turnover, and recognised as the number one gadget recycler. Sam puts his success down to a personal touch, following up with customers over the phone and making use of social media. He tests his ideas on his friends who are brutally honest and will throw any bad ideas back into his face. 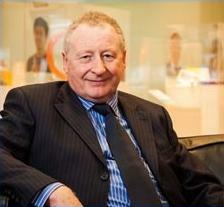 Finally Stephen Fear who grew up with virtually no education, and used to read the newspapers he was delivering. At fourteen years old he began using his local phone box to contact American suppliers with help from a friendly phone operator. He settled on trainee salesman as his job title after rejecting Chairman and President, in order to get in the door at big companies who wouldn’t see a teenage child. Spend your profits on your business not on holidays or expensive presents for yourself. Find the right partnerships who can help your business grow. Partner with your customers and your suppliers and ultimately with your financier. Mistakes are how you learn, and you come out a lot stronger. You always have to watch your own business regardless of who you employ to look after it for you. You have to keep focussed on your business at all times. Plan ahead. 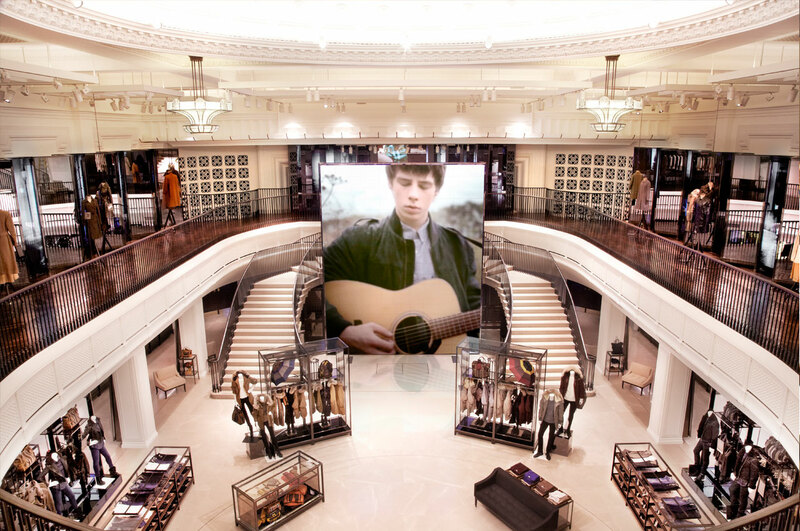 Example of a five year plan to choose between menswear and home-wear for Orla Kiely. Finance means everything must have a margin (40% in the case of Orla Kiely). Stephen Fear covered the funding options of Crowdfunding, personal investors who will take a percentage of the business, BBA website for grants. Charlie reckons friends and family can be the best source of funding for startups. Don’t need to be too detailed, but must be a credible road map for your business. Sam is expanding into European markets through connections and other people’s successes. 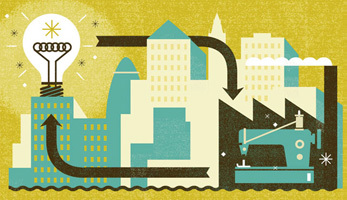 The UK DTI help exporters expanding into new markets. All of the speakers stayed on well after the 8pm close for some serious networking in the bar of the conference centre. It was great to be able to chat to Orla Kiely, Stephen Fear and Charlie Mullins over a glass of wine and nibbles. 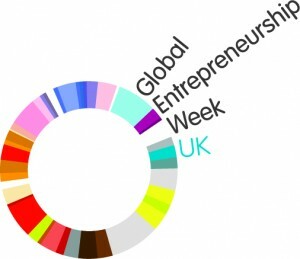 This entry was posted in British Library, business information, business plans, business startups, Enterprise Week, entrepreneurship, fashion, growing business, Inspiring Entrepreneurs on 13 November 2012 by ninfield. Last night on Radio 4 Robin Hunt – Reader 170890 gave his very personal take on his ‘office’ The British Library. It was a lovely little programme which gave a real insight into how our readers, or customers as I prefer to call them, feel about my place of work. Needless to say the producers of the show couldn’t resist using the oldest and lamest library cliché in the world in their title SSSHHH! (The Best-Read Office in the World). I was pleased to hear that Robin managed to make it across the (academic) divide from Humanities to Sciences and included an interview with one our earliest Success Stories in the Business & IP Centre. 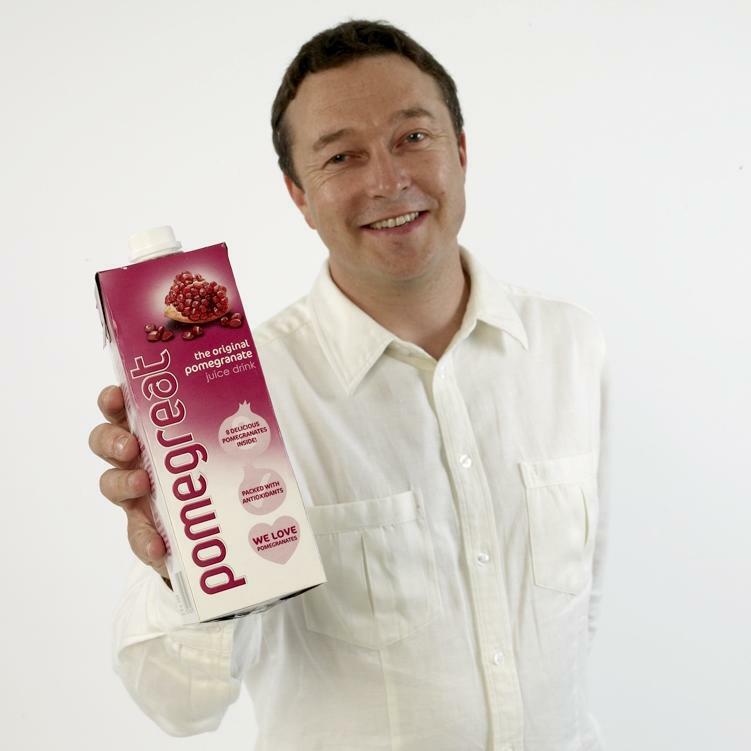 Adam Pritchard spent six months researching his PomeGreat business which first made an appearance on the shelves in 2003, and since then has expanded rapidly. “Foremost in the minds of its creators was the obsession with creating a great tasting drink, which sounds obvious now, but so many others have made the mistake of assuming people will drink anything if they believe it’s doing them good! In order to get the taste we wanted, we had to become experts in pomegranates, where to find and harvest them at their best, how to press them to preserve all the goodness in the juice, and how to blend them to create the PomeGreat drinks that so many buy today! As always happens in business, success breeds competition, in this case from the supermarket own brands. So Adam has recently re-branded PomeGreat moving it up market and using some creative television advertising. This entry was posted in Advertising, British Library, business information on 16 October 2012 by ninfield. Most of the inventors and entrepreneurs we help in the Business & IP Centre realise that it takes hard work and patience (and some luck) to become successful. For Alistair Kelman the man behind Playback Rewards it has taken three years of seven day weeks with no holidays. I have often seen him working in the Centre, and for the past couple of years he has been giving me regular progress reports on his patented invention. These updates have been an alternating mix of positive and negative news, as hurdles appear and then are overcome. Or amazing opportunities arrive, but then disappear again. Throughout this roller-coaster of events, Alistair has remained positive, and bounced back from setbacks (an essential ingredient for an entrepreneur). He has also taken a flexible and pragmatic approach to commercialising his invention (another necessary requirement – but sadly rather too rare for inventors). For the last few months I have been waiting for permission from Alistair to talk about his invention on my blog, and now he has given me the green light. I am excited because Playback Rewards has the potential to be our biggest success story so far, by far. 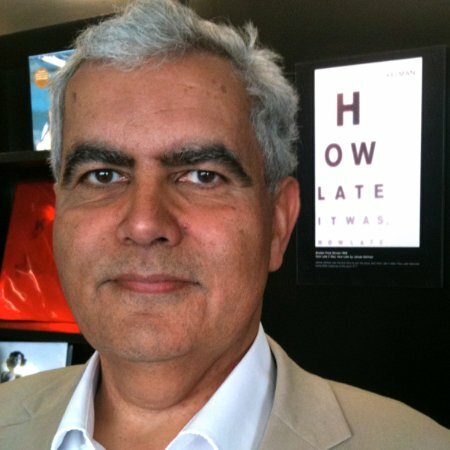 Alistair started working on his ideas for revolutionising television advertising at the Centre at the beginning of 2009. He filed his first patent later that year, which was granted in February 2011. He then worked for months, almost on a daily basis at the Centre, developing, researching and refining the commercialisation of his invention. In late 2010 Alistair ran out of money for his patent. But managed to persuade Stephen Fry to put in a little to keep the project on the road. As you can see from the video Stephen recorded ?? ?, he liked Alistairs’ ideas and wanted to help. Then on Christmas Day 2011 his company was mentioned in an article in the Sunday Times. Five months later Playback Holdings Ltd won a place in the semi-finals of the CISCO BIG awards, where it stands the chance of winning $100,000 for the business. Alistair feels that which everyone should know about this amazing programme. As part of his entry for the CISCO i-prize competition Alistair has made a video Magic in your pocket which explains how the service would work. On 6 July Playback Holdings Limited starts its Series A fund-raising via an Financial Services Authority (FSA) approved crowdsourcing platform called Seedrs. This innovative investment method allows ordinary people to invest between £10 to £100,000 in any of the start-ups on its platform. The full story behind Playback Rewards, and where they are going is on their website www.playbackrewards.com. This entry was posted in Advertising, British Library, business information, business startups, funding, gadgets, inventions, Success Stories, technology on 29 June 2012 by ninfield. Tonight’s excellent Inspiring Entrepreneurs event looked at different approaches to ethical, environmentally-friendly and sustainable fashion. Rather than seeing ethical fashion as an add-on, our speakers are taking advantage of new technology and practical innovative business models to make them more creative and also sustainable in the long-term. Tonight was run in partnership with London College of Fashion’s Centre for Fashion Enterprise (CFE) and Designer-Manufacturer Innovation Support Centre (DISC). Christian Smith is Corporate Responsibility Manager at ASOS, and has an MSc in Environment and Sustainable Development from UCL. His work at ASOS includes measurement of greenhouse gas emissions, helping the company to understand its impacts and opportunities for improvement. Annegret Affolderbach is designer and founder of Choolips, who revive ancient textile traditions. She is passionate about sustainable fashion, and the exciting and potent future it presents for global fashion. Her range is now sold through the ASOS Green Room. Annegret spent a year and a half after graduating collecting ideas on Post-It notes trying to work out how she could use her talent to make a positive difference to fashion in the world. She also felt the need to be inspired for her whole business career, rather than a short term goal. Annegret spent another year travelling and listening, visiting the Gambia to learn about Batik, and how the local producers thought about their lives and impact on their local environment. She was determined to create a product that would be harmonious to both the producers and consumers of the products, and started with just two simple dresses. Mark Bloomfield with a background experience of designing wearable accessories for brands such as Vivienne Westwood, Matthew Williamson and Asprey, talked about developing his own jewellery business, Electrobloom. 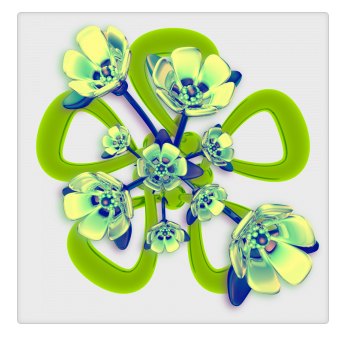 This has been inspired by how the worlds of nature, art, technology and science collide, he produces unique jewellery designs using 3D printing technology. Eleanor Dorrien-Smith is the founder of PARTIMI, and graduated from Central Saint Martins with a BA in Fashion and Print. She has worked for Mary Katrantzou, Tata Naka, John Galliano and Eley Kishimoto before setting up PARTIMI. After creating a capsule collection for US retailer Anthropologie, the PARTIMI ready-to-wear collection was launched in 2010. The PARTIMI collections are defined by striking prints, a distinctive personal narrative and an environmental edge. The evening was chaired by Melanie Frame, Sustainability Manufacturing Developer at London College of Fashion (DISC). Melanie is part of the DISC project to support fashion manufacturers and designers to innovate their production process. Melanie has been involved in various sustainability projects helping small businesses to set up sustainable and ethical practices. A question about the concentration on sustainable supply lines led to a fascinating discussion about the speaker’s views on what sustainable fashion means to them. For Mark it was about recreating a made-to-order type of personalised shopping experience, which gives a more engaged experience for customers. For Christian improving the welfare of the environment and fashion producers are an important new additional part of the business model, from the traditional success measures of company share price and market share. He talked about how the Green Room at ASOS helps breakdown the enormous challenges of sustainable fashion into bite sized chunks, making it more manageable. Also telling the story behind the product is another way of engaging customers and staff. 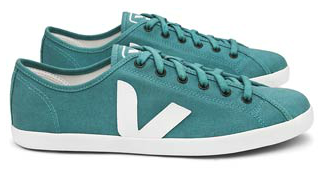 Veja French shoe brand using canvas made with organic cotton and a sole of wild rubber. Their brand doesn’t use advertising or celebrity endorsement. Osklen from Brazil making shoes from fish skins. Colder Shoulder from the UK. A triple bottom line of people, planet and profit, recognizes the interconnectedness of all forms of planetary life. From farmer to wearer, fibre to hanger, factory to store, dye to reuse. The discussion ended with a transparent discussion of producer pricing and markups that are common in sustainable fashion. My colleague Fran Taylor who organised the event has written an excellent review of the evening on her Creative Industries blog . This entry was posted in business information, business startups, creative industries, going green, Inspiring Entrepreneurs, retail, technology on 12 June 2012 by ninfield. In keeping with our exciting new Innovating for Growth Programme, our next Inspiring Entrepreneurs event next Wednesday is Going for Gold. It’s for people who want to take their business to the next level but aren’t sure how. Come along and hear from serial entrepreneur Stephen Fear, Mandy Haberman, inventor of the Anywayup Cup and Cate Trotter, Head of Trends at Insider Trends. Stephen is an experienced and skilled entrepreneur, his first business was for a cleaning formula made in a garage at the age of 16. He opened his first ‘office’ in a red phone box and has gone on to work on 64 different ventures across the globe. The evening will also give you the opportunity to learn more about our exciting new business support programme, Innovating for Growth. If you are a London-based small business looking to grow, but aren’t sure how to take the next steps, we can help provide expert advice and support on business strategy and sustainability, branding, intellectual property, developing your product and getting it to the right markets. Stephen is an experienced and skilled entrepreneur, his first business being a cleaning formula made in a garage at the age of 16. He opened his first ‘office’ in a red phone box when he heard on the news that new laws would force food manufacturers to change the way they clean ovens. The Bristol-born businessman hung up an ‘Out of Order’ sign outside the phone box, charmed an operator into pretending to be his secretary, persuaded a US firm to sell its oven-cleaner product to him, and was soon dealing with the world’s biggest food brands. He an his son, Leon Fear, now run a multinational trading juggernaut incorporating 64 companies with interests in everything from hotels to manufacturing. Starting out with no experience in product design or business, Mandy Haberman came up with the revolutionary design of the ‘no spills’ Anywayup® cup for babies, which has gained turnover of £10m per year since launching in 1995. Mandy can also give invaluable insight into more practical entrepreneurial skills such as dealing with the legalities and patenting of an invention, having fought through a court battle with a major corporation, who used her patented technology for their own range of non-drip cups. 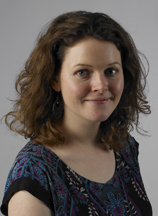 Cate is the Founder and Head of Trends at Insider Trends, a London-based trendspotting consultancy. Since graduating in Design from Goldsmiths, she has worked as a marketing consultant for brands such as Lloyds TSB, Tesco and Unilever. She set up Insider Trends in 2008, specialising in demonstrating how trends are coming to life in the world around us. Clients such as Philips, Nokia, Marks & Spencer, Absolut Vodka and American Express have used its trend tours, presentations, reports and workshops to gain a tangible understanding of otherwise abstract trend theories. Cate regularly runs workshops at the Centre and is one of our success stories. This entry was posted in British Library, business information, business plans, entrepreneurship on 16 May 2012 by ninfield.